The rise of cheap, dependable camera systems have resulted in a large increase in the number of American households that have installed security camera systems. Even if you’re not tech savvy, you can purchase and install an IP camera for under $50 that enables to you record and monitor your home and property 24/7. 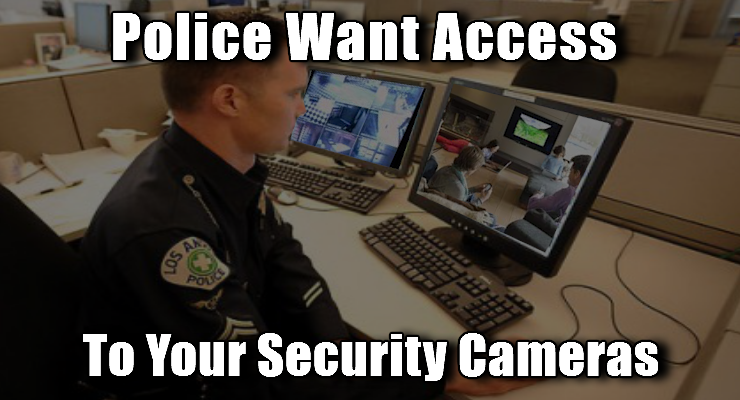 Now, a growing number of police departments across the US want access to your video. It may sound like an Orwellian science fiction novel, but it’s true. 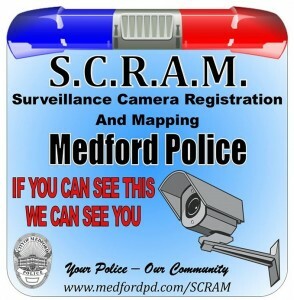 Surveillance Camera Registration And Mapping, or SCRAM as it’s called, is a program where police have residents ‘voluntarily’ register their home surveillance systems with the local police. The way the program is supposed to work, is when a crime is committed near your home, police can ‘request’ all the footage that your system recorded. Of course, if you don’t voluntarily give up the footage, police will either take it by force, or get a warrant to secure the footage. I know what you’re thinking: Why on Earth would you tell the police you have a CCTV security system? It’s a very logical argument. I, for one, wouldn’t want the police to have access to any audio/video that I have. But in some areas of the country, residents are required by law to register those devices with the local police departments. Registration data must include the owner’s name, address, telephone number, listing of all cameras used there, description of areas viewed by the cameras, and details about how and how long images are saved. New Jersey isn’t alone in their registry. The cities of Fremont, San Mateo and Sacramento in California all have ‘voluntary’ registries as well. Additionally, St. Petersburg, Florida began their ‘voluntary’ registration last year. Without going into detail, the majority of IP based cameras are freely searchable on the Internet. If you voluntarily register your devices with police, chances are, they can view the live video stream online – without the owner’s knowledge or permission. This is something that hackers (and by now the general public) have known about for years. Regardless, you can bet the various police departments, who are encouraging your voluntary registration, know about this as well. After you register your camera with the police, it only takes a few simple clicks to view a live stream of your video surveillance system, and you’ll be none-the-wiser. So, if your local police department asks you to ‘voluntarily’ register your security system with them, say no. Whether or not they are smart enough to illegally gain entry into your system, they can still get a warrant and force you to turn over all audio/video from your cameras. intitle:Axis 2400 video server Mostly security cameras, car parks, colleges, clubs, bars, etc. intitle:”Live View / – AXIS” Mostly security cameras, car parks, colleges etc. intitle:”LiveView / – AXIS” | inurl:view/view.shtml Mostly security cameras, car parks, colleges etc. intitle:liveapplet Mostly security cameras, car parks, colleges, clubs, bars etc. intitle:snc-cs3 inurl:home/ Mostly security cameras, swimming pools and more etc. intitle:snc-z20 inurl:home/ Mostly security cameras, swimming pools and more etc. inurl:LvAppl intitle:liveapplet Mostly security cameras, car parks, colleges etc. inurl:indexFrame.shtml “Axis Video Server” Mostly security cameras, car parks, colleges etc. inurl:lvappl A huge list of webcams around the world, mostly security cameras, car parks, colleges etc. inurl:indexFrame.shtml Axis Mostly security cameras, car parks, colleges etc. inurl:”MultiCameraFrame?Mode=Motion” Mostly security cameras, pet shops, colleges etc. inurl:/view.shtml Mostly security cameras, car parks, colleges etc. inurl:/view/index.shtml Mostly security cameras, airports, car parks, back gardens, traffic cams etc. inurl:viewerframe?mode= Network cameras, mostly private webcams etc. inurl:ViewerFrame?Mode=Refresh Mostly security cameras, parks, bird tables etc.